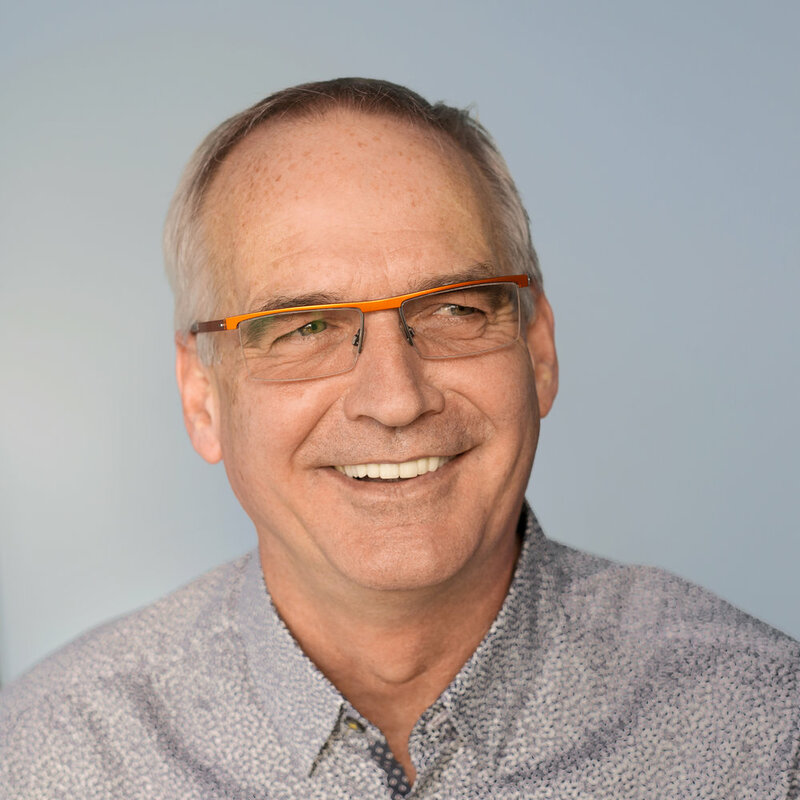 Don is whole-heartedly dedicated to the professional floral design industry in Canada – as the Founder and Director of the Canadian Institute of Floral Design, an educator, and naturally, as a floral designer. Don is a second-generation florist, introduced to the industry by his father, floral master Bill Waltho. The senior Waltho owned Avenue Flower Shop located in Yorkville, an upscale neighbourhood in Toronto. He held the title of Teleflora's Florist of the Year in 1981 and later ran three successful flower shops in Sydney, Australia. What great inspiration to the junior Waltho! Don studied floral design formally with Bob Ross and attended the design schools of FTD, United Flowers-by-Wire Canada and Flowers Canada. He experienced both the retail and wholesale sides of the industry, enjoying his years at such prominent suppliers as Highland Evergreen Supply and Dales'. Don's first classroom teaching position was at the Toronto School of Floral Design. 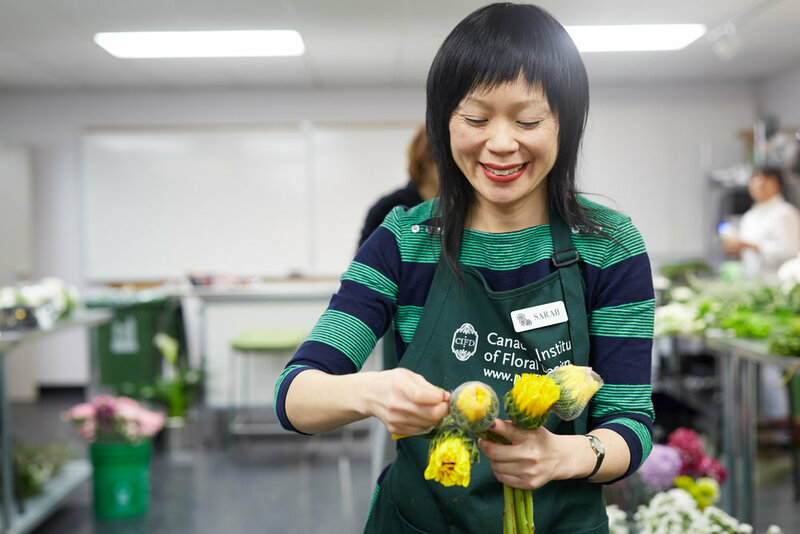 In 1988, he founded this school, the Canadian Institute of Floral Design, a private career college dedicated to training individuals interested in entering the professional floral design industry. This is the only school of its kind in the province that is registered and approved by the Ontario Ministry of Training, Colleges and Universities. To date, the school has trained more than 4,000 professional florists. Today, Don is not only well known amongst the local floral design industry, but he has also become a Canadian ambassador to the international floral design community. He acts as a floral design consultant to the hotel industry in the Middle East, having trained professional florists in the United Arab Emirates. He was also recently invited to be a keynote speaker at the 7-Star Hotel Conference in Dubai. He is continually invited to create remote educational programs for floral design students all over the world. Melissa is a proud graduate of Canadian Institute of Floral Design. She joined the CIFD faculty in 2017, specializing in bridal design. She leads classes and workshops that showcase current wedding trends and techniques. Following graduation in 2010, she began working in two flower shops to gain hands-on experience and refine her talents. As Head Designer, and later Flower Shop Manager of a prominent floral studio in Toronto, she discovered her passion for wedding design. Her work has been featured in major wedding shows, including Wedluxe and The Wedding Co. Show, magazine photoshoots and many private industry shows. Her flowers have been featured in Martha Stewart Weddings and Wedluxe, television shows such as Cityline and several event and wedding blogs. Melissa attended Ryerson University for Fashion Communications, graduating with a Bachelor of Design. In her spare time, she enjoys painting in watercolour and acrylic, drawing and illustrating. Brad has been rooted in the floral industry ever since he began working with his father at Alma Florists, established in 1952 in Toronto. He grew into the business and has since been the proud, third-generation owner/operator of Alma Florists for over 20 years. Brad graduated from the Floral Design program at Seneca College and also holds a Bachelor’s Degree in Commerce and Economics from the University of Toronto. CIFD welcomes Brad’s wealth of natural talent and dedication to lifelong learning and educating floral design. He is an active member of the Board of Directors for the Canadian Academy of Floral Art (CAFA) and created team floral creations at the Canadian Juno Awards and at the World Flower Summit in Nice. Returning to Seneca College as a former graduate, Brad became an instructor and has since shared his flair for and extensive knowledge of the floral industry with many privileged students. Brad enjoys demonstrating his innovative design style to those who are eager to learn about this exciting industry, and takes a professional and relaxed approach in communicating his passion for all that is flowers. Brad has been featured in numerous professional floral design shows and publications, including Canada Blooms and Canadian Florist. He and his team of talented designers at Alma Florists have been featured on a number of occasions by City TV, CTV News, Global Television and the Toronto Star. Tamae is a graduate from the Canadian Institute of Floral Design, specializing in Ikebana, or Japanese floral art. She has extensive experience as retail florist and a floral design freelancer. She is excited to teach students how to create their own balanced life through florals based on traditional Zen philosophy. Tamae was raised in Kyoto, Japan, where she developed an appreciation of the natural beauty of her homeland. She has a love for all art and design – including music, painting, sculpture, pottery, landscape, architecture, photography and modeling. Tamae graduated from the Kyoto College of Art and Design. She worked for the Kawasaki Architect Structure Institute in Osaka and then worked in Tokyo as a director of her own photography studio. 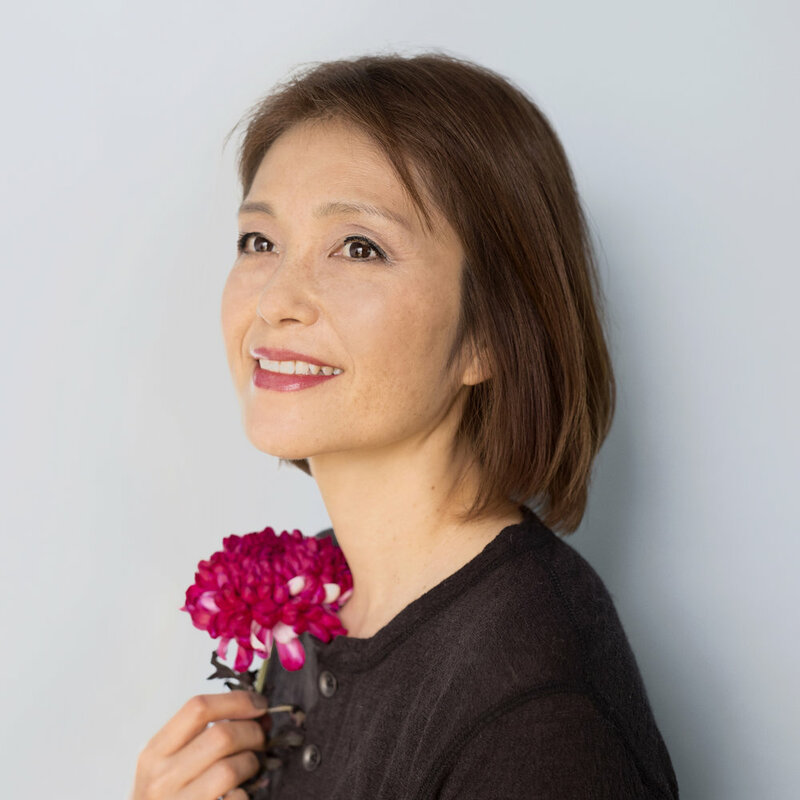 In 2001, Tamae moved to Canada, first living in Montreal where she became an active member of the Japanese Cultural Association and taught Ikebana. She was involved in teaching design classes focusing on origami and kimono practices. She also demonstrated Ikebana at the Montreal Botanical Gardens, Ikebana International and many other art exhibitions. Rada brings her prestigious design expertise as a Floral Master, as the newest faculty member. Rada has been a part of the floral industry in Toronto for more than 30 years – most notably as the proprietor of Peter Paul's Flowers in Toronto for 25 years. Rada earned her credentials from a Registered Professional Floriculture Program in 1980. Throughout her career she won numerous awards for her floral creations and dedication to the industry. Her designs have been featured in various design shows across Canada. Rada has had the honour of representing Canada at the 2008 World Flower Council Summit in Nice, France. She also designed florals for the King of Malaysia, exhibiting at Kuala Lampur's largest Flower Show over two years. Rada enjoys her membership in the Canadian Academy of Floral Art (CAFA). For several years she sat on the Board of Directors as Director of Special Events. She has had the pleasure of creating florals for Toronto Fashion Week, the Canadian Tulip Festival in Ottawa, The JUNO Awards, The Love of the Bloom and Floral Ball Gown Gala in Ottawa. For this work she received the Presidents Award for her dedication and commitment to the cause. Rada has also created designs for many TV celebrities, musicians, actors and even royalty. Sarah is a designer who draws equal inspiration from the curve of a tulip stem and the shape of a letterform. She runs Petite Studio, a design workshop that specializes in the crafts of floristry and design. She designs florals for weddings, events and corporate functions. She also works on commercial floral styling projects for companies and advertising agencies. Sarah is certified as a professional floral designer and instructor by the Canadian Institute of Floral Design. Sarah is a designer who savours the creative process. A true professional designer, she enjoys sharing her perspectives and experiences with students. Sarah takes on a mix of commissions for a wide variety of clients – always balancing the notions of artistry and practicality. Sarah has worked on floral styling projects for clients including Chanel Canada, Chevrolet Canada, Google Canada, The Globe and Mail, enRoute magazine, Holt Renfrew, Maison Birks, Shiseido, Shoppers Drug Mart, Tetley Canada and Town Shoes. Her florals have been featured by Best Health, Canadian Living, Covet Garden, Elevate, Today’s Bride, Weddingbells, The Wedding Co., WedLuxe and 1968 Magazine. Sarah holds a Bachelor of Design degree from York University and Sheridan College, and an Honours Bachelor of Science degree from Queen's University.